The Splendid Hospitality Group has added boutique hotel the New Ellington Leeds to its growing portfolio. 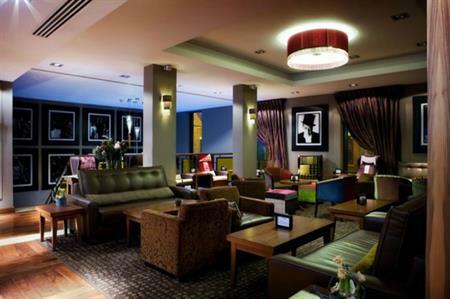 Located in the heart of Leeds' financial district, the art deco-inspired hotel has 34 individually designed rooms. Two conference rooms accommodate up to 30 guests while the hotel's bar, the Gin Garden, serves a variety of different gins. Stuart Bailey, chief executive for the Splendid Hospitality Group said: "We are delighted to acquire the New Ellington Hotel which enhances our existing collection, giving us a stronger accommodation proposition in the region. This boutique hotel is ideally located for both the business and leisure traveller and we look forward to welcoming guests to the hotel." The Splendid Hospitality Group portfolio has 18 hotels including the Holiday Inn Express Leeds East, Hotel Indigo York, Holiday Inn Express York and Yorkshire’s only five-star hotel, the Grand Hotel and Spa York. In London the Group owns and manages the Conrad London St James and the newly-opened Hilton London Bankside.